How Do I Create Custom Questions For My Quiz? Easily create custom quizzes with LeadQuizzes! Watch the video or follow the steps below to learn how to create custom questions for your quiz. 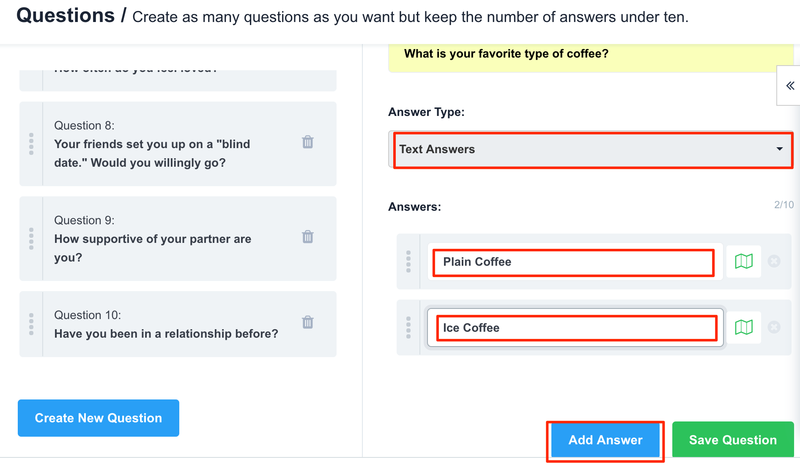 To being creating questions enter your custom text into the text box in the questions section of the quiz builder. Note: You will see a live preview of what your question looks like on the righthand side. 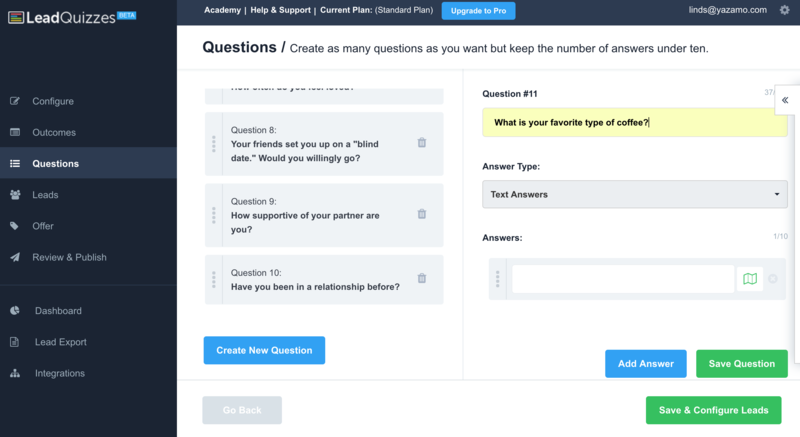 To create multiple choice text answers select Text Answers from the answer type drop down. Type in your questions answer. Then click Add Answer to add additional answers. After you type in your answer, YOU MUST TIE THE ANSWER TO AN OUTCOME that you created in the previous step. To tie an answer to an outcome, select the map next to your quiz answer. 2. Select the outcome you would like that answer to link to. 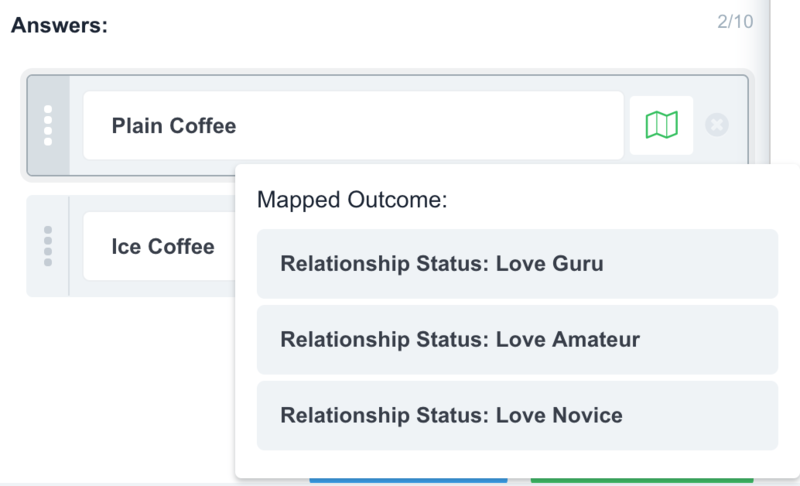 Once you have created all of your questions and tied them to outcomes,select the Save and Configure Leads button at the bottom to move on to Leads.